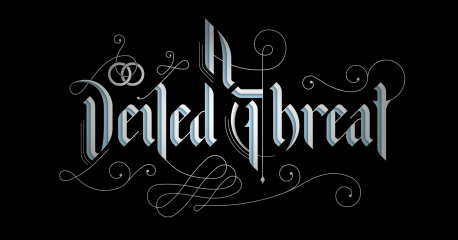 A fun medium-length mystery from A Door in a Wall. Blink and you’ll miss it though – this was a one weekend only event that took place at the end of August. 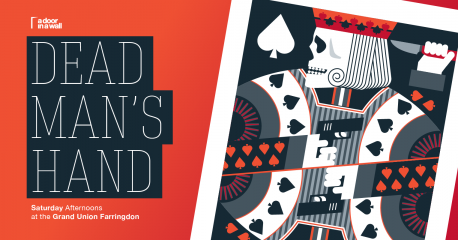 Dead Man’s Hand wasn’t my favourite of the A Door in a Wall games but it’s still a very enjoyable experience and I suspect that we went a long just a little too early to fully appreciate it. 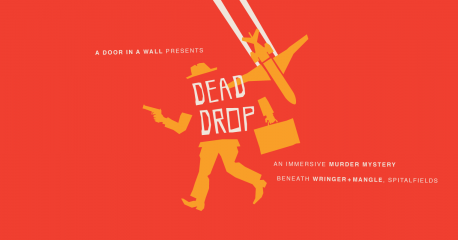 Back to their best: Dead Drop is A Door in a Wall’s usual combination of great performance, fun puzzles, a convoluted mystery and a smattering of outrageous puns. I highly recommend. A great taster event for A Door in a Wall. If you’re looking to organise a fun birthday party or corporate event with plenty of time for mingling then it’s a great choice. Don’t go in expecting their usual full scale events and you’ll likely come away very happy with the experience. Another evening of fun from a Door in a Wall. While still an amazing experience, the new format resulted in to a poorer experience on the immersive theatre side which wasn’t quite made up for with the impressive setting and reduced amount of queuing. 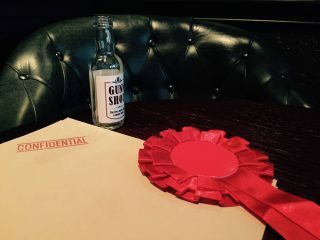 Another installment from the masters of the immersive theatre treasure hunt. 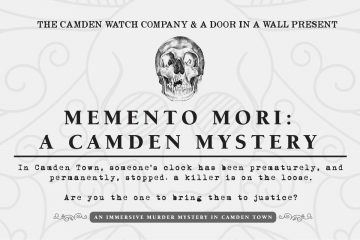 A brilliant murder mystery puzzle to solve, some fun puzzles along the trails and great immersive theatre. A once a month extravaganza in Islington. 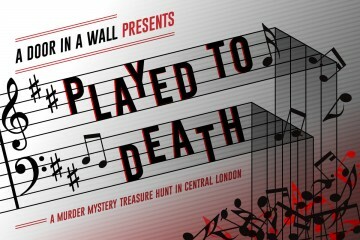 Easier puzzles but more interaction, this is another great performance from the masters of immersive, puzzly theatre.